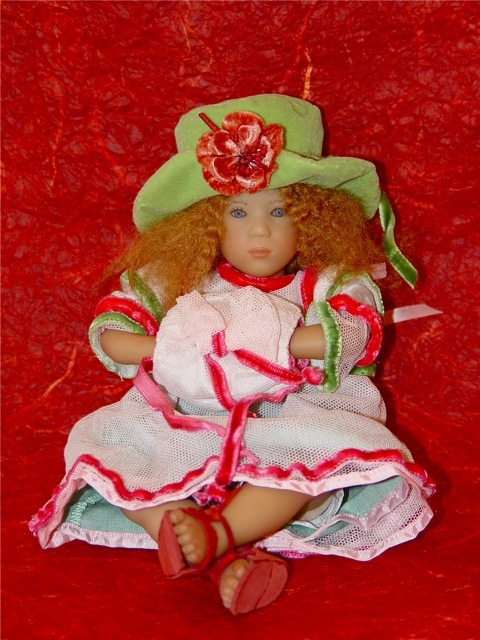 Kleine Mirte by Annette Himstedt was produced as the 1999 club membership gift. She is a miniature replica of "big Mirte" the 1999 club doll. 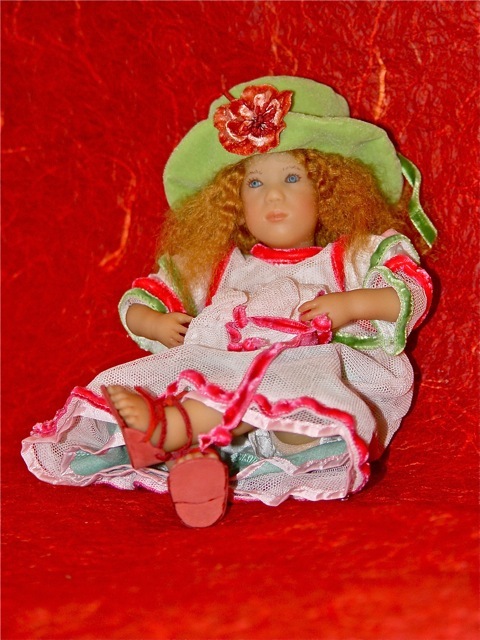 Kleine Mirte is 9 1/2 inches (25 cm) tall and has pale green-speckled painted eyes. 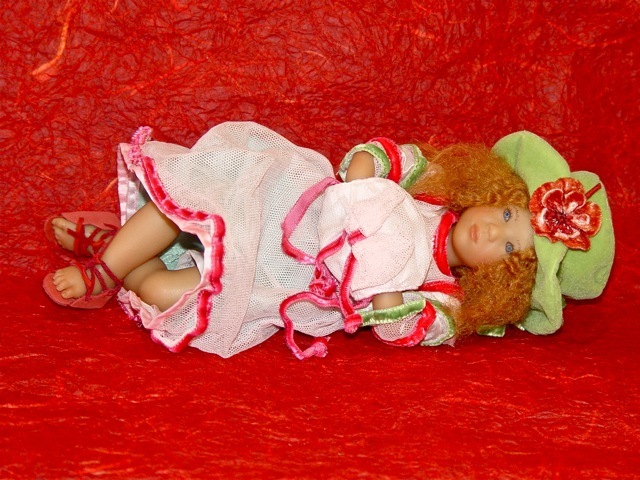 Her copper red hair is made of gently crimped mohair. Kleine Mirte's soft, polyester body is filled with granulate. Her vinyl head is jointed, arms and legs are not jointed. 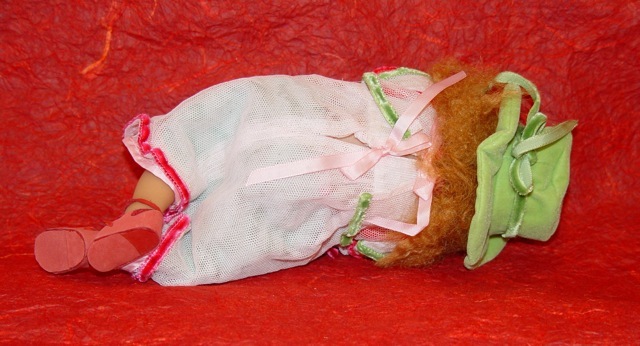 Her dress is made of pale pink cotton tulle accented by deep green and pink velvet ribbon. The bodice is lined with pink silk. Her hands are sweetly tucked inside a muff made of tulle and silk. Her Sea green petticoat shimmers through her tulle dress. She wears pale pin silk underwear that is sewn to the petticoat at the waist. Hand-made cherry red nubuk leather sandals are fastened by criss-crossing leather thongs. Her outfit is completed by a jaunty pea-green velvet hat that is accented by a bright pink hand-made velvet flower on it's brim. Kleine Myrte was not produced with a box. We are a smoke free establishment. The perfect gift for that upcoming birthday, anniversary, or the Holidays!